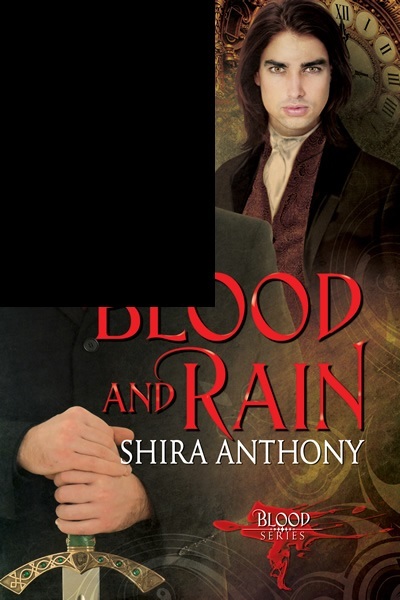 “Blood and Rain” Contest and Cover Tease! Teasing all ya’ll again… I promise this is the last one, though! You can see Adrien’s hands now, and his beloved hunter sword, “Ianus.” Next week, I’ll reveal the entire cover. But for now, just so you don’t shoot me, here’s another excerpt. The excerpts follow in order, so you can backtrack to the first cover tease post and read forward if you’d like. I’m just about done with book two in the Blood Series, Blood and Ghosts, which will be released in early 2015. It also features Nicolas Lambert, one of the main characters in Blood and Rain, and Adrien Gilbert, the vampire hunter who falls in love with him. The Blood Series features three MM pairings and is both a contemporary and an historical supernatural romance, spanning more than a century from 1895 to the present day. The vampires and hunters in the series share a common heritage, although both like to downplay that connection. 1896 sees the first in a series of moves on the part of a faction of hunters who believe the ancient Council of Hunters should sever its ties to the vampires who helped found the institution. Led by Verel Pelletier, the separatist hunters create havoc in the Council and ultimately take over its governance. Pelletier has a plan: to use vampires’ blood to create stronger hunters and ultimately eradicate vampires completely from the world. In the midst of this turmoil, Nicolas and Adrien fight to preserve the longstanding peace between their races. It’s a fight that continues into the present day. Each week for the past 3 weeks, I’ve been teasing you with a bit more of the gorgeous cover from Dreamspinner Press cover artist Reese Dante, as well as a long excerpt from the book. Next week, I’ll reveal the entire cover. I’m also running a cover reveal contest that will end at midnight on October 11th, midnight after the day the full cover is revealed. The Rafflecopter giveaway is here: http://www.rafflecopter.com/rafl/display/cf0ba9496/ Or you can enter by clicking directly on the Rafflecopter widget below. François Gilbert drew his cloak tighter around his body as the rain stung his face. The sound of the wind through the trees was like a plaintive cry, almost alive, as if the storm shared his heartbreak. His horse snorted in protest as he took off at a gallop. Time was short. It had taken him longer than expected to leave the house without being seen. He hasn’t left yet. The thought did little to tamp down his growing despair. He urged the horse onward, pushing the animal near to its limits. He gritted his teeth against the wave of grief that wrapped its fingers around his heart as he left the vineyard behind. He imagined his sister’s sweet smile and his father’s embrace. Those things he would miss, but more than anything, he regretted the look of pain he’d seen on his brother’s face the last time they’d spoken. “You intend to go with him, don’t you?” Adrien asked as he’d tended the vines. He didn’t look up to acknowledge François. “Please don’t leave.” Adrien gazed up at him, eyes brimming with tears. “You’re strong, Adrien. Stronger than you know.” Even now, Adrien saw him as the stronger brother. How ironic, that Adrien was more powerful. More cunning. Able to see the broader picture. More introspective, but François understood this gave Adrien the advantage when it came to understanding people. Adrien, I wish you could see yourself as I see you. Adrien shook his head and turned back to his work. François first met the man with silver hair and eyes the color of the ocean while running an errand for his father. He’d just returned from a trip to a nearby village, where farmers had discovered several dead animals. The Council had suspected wolves were to blame, but as with all such reports, they’d dispatched a hunter to investigate. 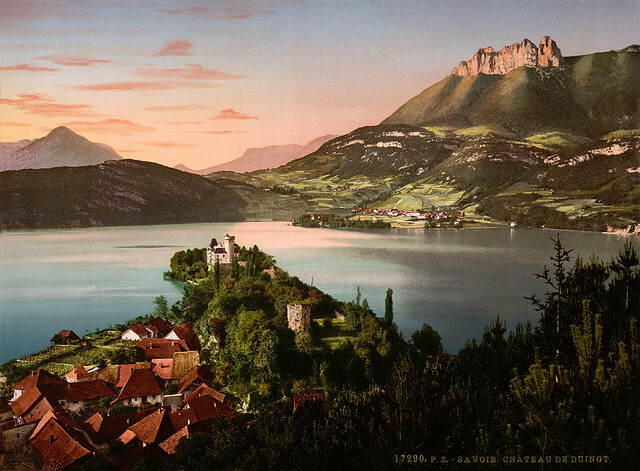 With each such foray beyond the confines of the small village where he lived, François yearned to travel farther. François had been immediately and inexplicably drawn to Charles Duvalier, the brooding nobleman who shunned the trappings of Parisian society and traveled without manservant or carriage through the French countryside. Never fearful of strangers, François had introduced himself to Charles. “You chose to speak to me, knowing what I am?” Charles asked. “You don’t frighten me.” It wasn’t quite the truth. François was afraid. He just wasn’t sure why. “I should frighten you.” The humor François had sensed in Charles fled in the wake of something darker. Pain. Guilt. François knew these feelings well, though he’d tried to hide them from his family and especially his brother. Undeterred, François had approached Charles again the next day, this time as Charles sat on a stone bench under the shade of an ancient oak. The rain, which had fallen steadily for nearly a fortnight, had broken the evening before. It would rain again soon, but for now the early spring breeze was cool and the sun shone brightly through the breaks in the clouds. François didn’t wait for an invitation. Instead, he sat down next to Charles as he read a book of English poetry. “Do you know my father?” His father had never spoken of Charles. Then again, his father rarely spoke of his life before he’d married their mother. “Ulysses,” Charles replied, clearly waiting for his reaction. “Perhaps.” In that moment François sensed Charles’s loneliness so acutely, it made his chest ache. He cursed his gift of empathy, for it made him long to free Charles from the pain. He gently touched Charles on the shoulder. Did he imagine Charles’s sigh in response? Shira, this series looks amazing! I can’t wait for it to be released. Congratulations! This looks like a great series I’m definitely going to be checking out. I like the idea of one person having seen hundreds of years of history, having that life experience contained within them! Awww, this sounds so good, Shira! I’m glad to have taken it upon yourself to write a historical story. I’m looking forward to reading it. Ianus is such a handsome guy on the cover! Thanks for sharing!